Mayor Edwin M. Lee with the Department of Environment web project team (from left to right) Zoey Kroll, Donnie Oliveira, and Mark Nicholas. 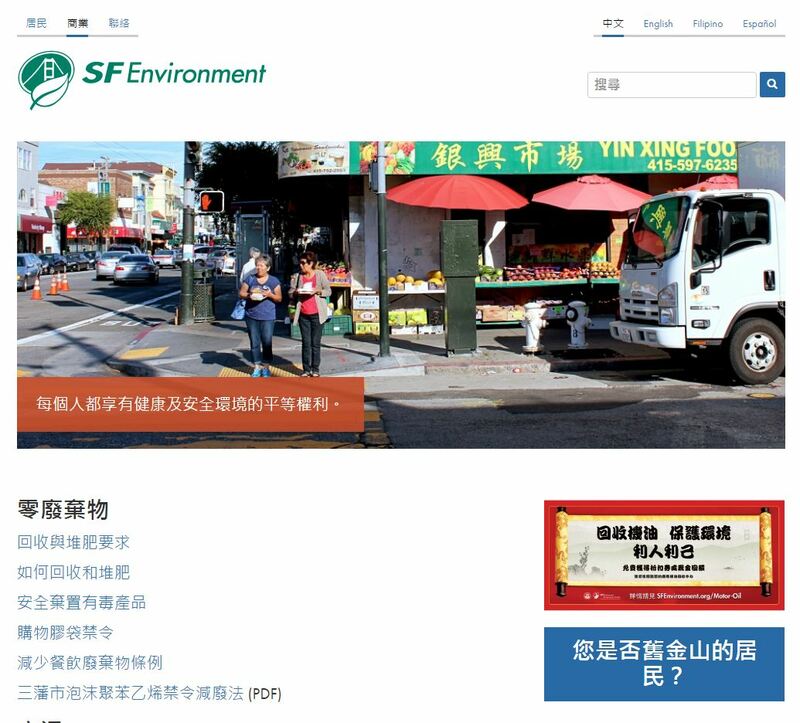 The San Francisco Department of Environment was honored with a Data and Innovation Award in recognition of the Department’s recently launched multilingual language websites. 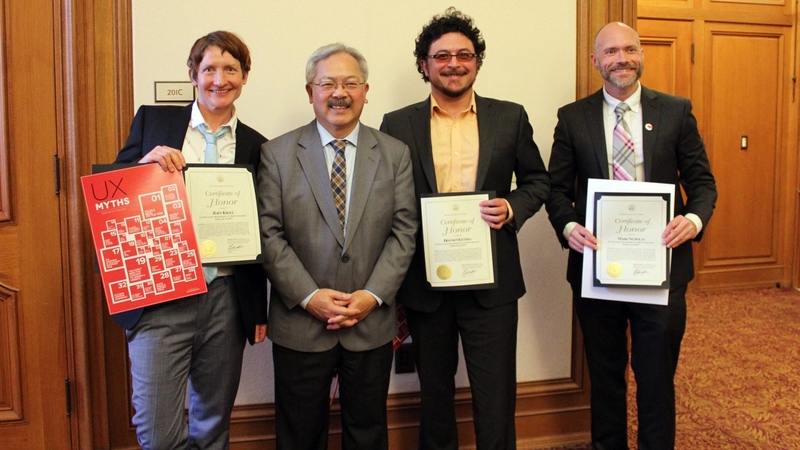 Sponsored by the Mayor’s Office of Civic Innovation and Data SF, the Data and Innovation Awards recognize innovative practices in San Francisco municipal government. This year’s selection process was highly competitive, with nearly 60 entries for six different award categories. The Department’s language websites won for the ‘User’s First’ category which recognizes projects aimed at improving user experience and public access to government information. The Department's language websites have been designed to create a seamless, culturally-relevant experience with page content, navigation elements, and help text in the three target languages. Images and content within each site can be customized so that they are culturally relevant, and website users can easily view the same piece of content in different languages. “The language websites have helped the Department reach even more San Franciscans with information and resources about how to take action to protect our local environment,” said Zoey Kroll, project lead and Internet Communications Coordinator at the San Francisco Department of Environment. “This web project has also given the Department the chance to re-envision its web presence with a responsive design, a clean look and feel, and clear language relevant to San Francisco residents and businesses."